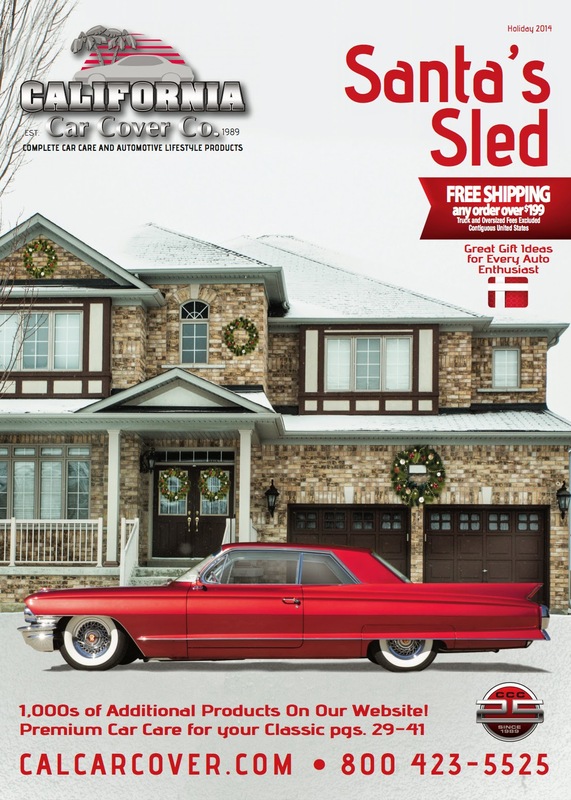 Covering Classic Cars : 1962 Cadillac Coupe de Ville "Santa's Sled"
Our first holiday catalog of the year is just hitting mailboxes, so it is time to share some extra photos of the Cadillac from our Santa's Sled California Car Cover catalog cover. I spotted this Cadillac at a local car show last year and was thrilled when I found out that the owner, Frank Ortega, was already a California Car Cover customer. I told Frank that I love 60's era Cadillacs and would love to feature the Coupe de Ville on a future catalog. The Cadillac has a been given subtle exterior modifications, such as the nosed hood and decked trunk lid. The Coupe de Ville features Cadillac wire wheels and Coker white wall tires. The Cadillac has all white interior, plus a Cadillac record player. While the exterior has candy paint and custom details, the original 390 engine is under the hood. The candy red paint with pearl really pops in the sun. 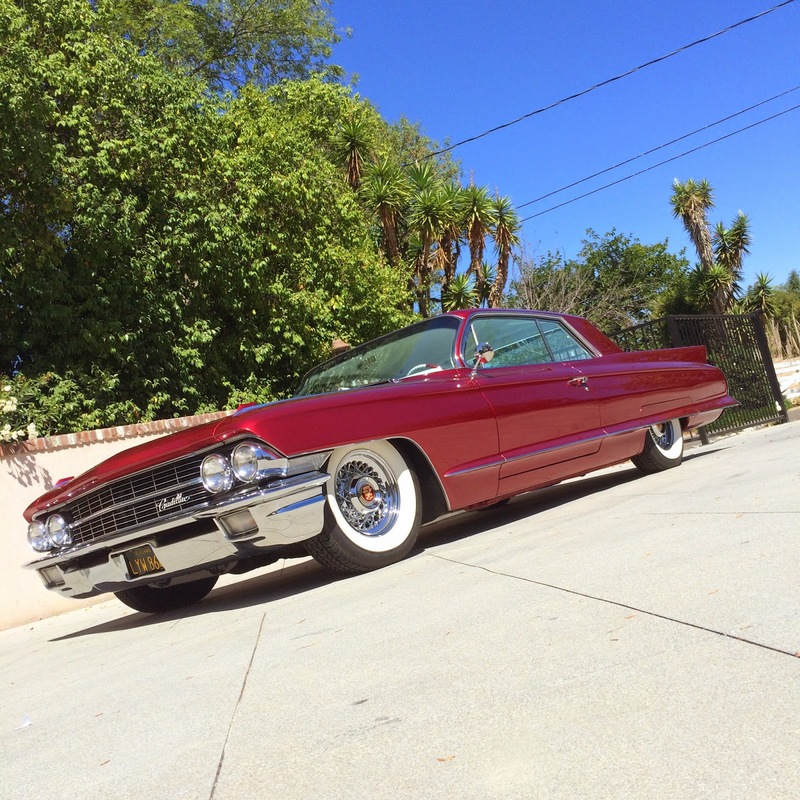 Frank's 1962 Cadillac Coupe de Ville has a nice stance and the right mix of original and custom touches. Thank you to Frank Ortega for taking the time to participate in one of our holiday catalog photo shoots. Check back next month for future photo shoots from California Car Cover.